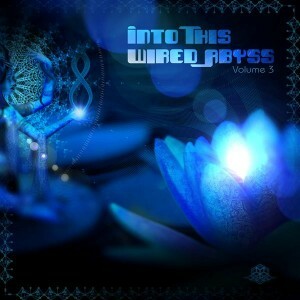 Compiled by Atman Construct, Into This Wired Abyss Vol. 3 is an invitation to seek out untouched sonic cultures, utopian siren songs, and machine dreams of glowing networks in synchronized melodic grooves. Ancient cables, cogs, and pneumatic pistons convulse with fresh virility. Loping wires wind round softly singing circuits and humming hardware, harmonizing, optimizing, and realizing. Long frozen ratchets wake at last to croak their hollow hymns and metallic mating-calls. This digital ecology has come back to life, a cacophony of data is rising, flowing up and out. Come conquistador, join the exploration; this brave new world is yours for the taking. Mastered by Adam Goodlet @ Re:Creation Studio with artwork by Hakan Hisim. MP3 Download | FLAC Download | WAV Download · Download count: 13,923.
zar – from 2:50 a lil bit of the prodigy ) thx! Another Great compilation from Atmnan …RESPECT ! Fantastic collection of tracks. Love the Sixis remix. Xenomma tracks are always golden. Track 1 has a bit of a blues feel to it … awesome work! Very nice compilation. Just my type of music! Much thanks. Sixis got me converted! As in CONVERTED! so is track #7 by 3Lines, or Mouldy Soul? Proprio qui sta il a destra sito per chi vuole capire questo argomento. haha) . Certamente metti un nuovo marchio giro ssu una argomento che è stato scritto su per anhni . Grande roba , solo grande meraviglioso ! Perfect tunes for times like these. This is the first album that got me in to IDM and downtempo. 3Lines and Soulular are absolute gems on this compilation, but the whole thing is a treat every time I listen to it.